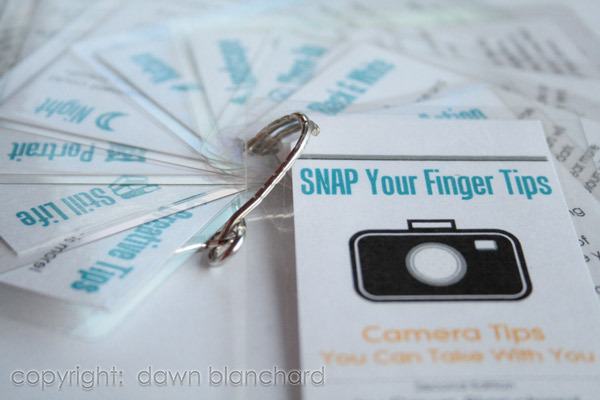 Free PDF of SNAP Your Finger Tips! Perfect for carry-along tips when you’re out with your camera, or for use in teaching photography. *Copyright Dawn Blanchard; not for resale.